Outstanding staff - helpful and friendly and capable. Bed excellent. Location is great next to Victoria Park and all sorts of eateries although the hostel itself is a little hidden and it might take some retracing your own steps before finding the actual entrance. Check in and check out fast and simple. The hostel provides free earplugs but it's a pity they are so necessary. 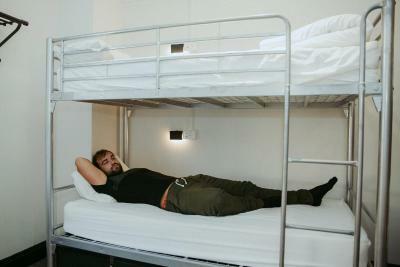 Comfortable beds, kitchen with enough equipment to survive, friendly staff. 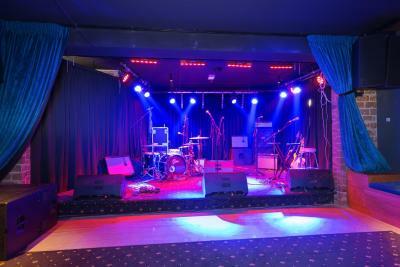 We can hear the bar from the rooms, but not very loud, it never disturbed me Near from everything And so cheap!! That was really good! The rooftop is amazing. The people are great too! Room,bathroom,kitchen..everything was very clean. Staff clean there everyday. 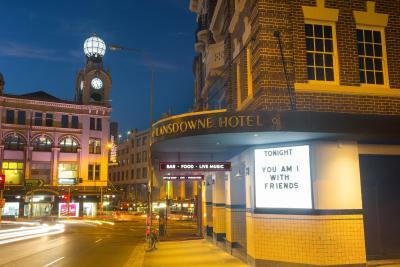 The location was good, short walk to central station and bus stop, some good eateries around. the front desk guy Andrew is so helpful, even kindly provide me with some job-seeking suggestions, he's so kind, the location also good to go anywhere worths visiting, and I especially like the Victoria park outside the hostel. Bed was very comfy. The room included everything that we needed as we only stayed for one night. Staff was easy to contact (during work hours) and since the location was very central, it was convenient to get any sort of public transport. 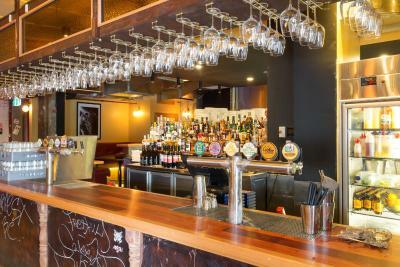 One of our bestsellers in Sydney! 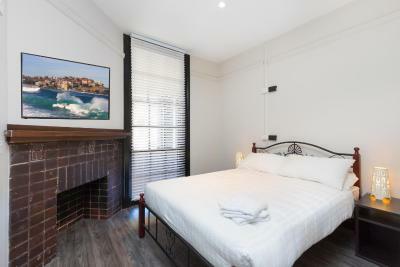 The Village Broadway offers accommodation in Sydney, located an 11-minute walk from Central Station and opposite the busy Broadway Shopping Centre. 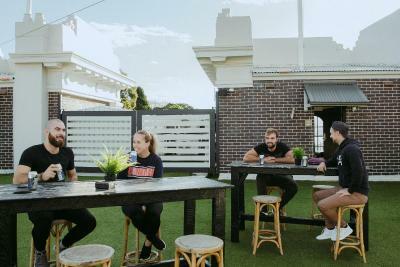 The Village Broadway boasts a lively onsite bar and is conveniently surrounded by a number of cafes and busy nightlife options. 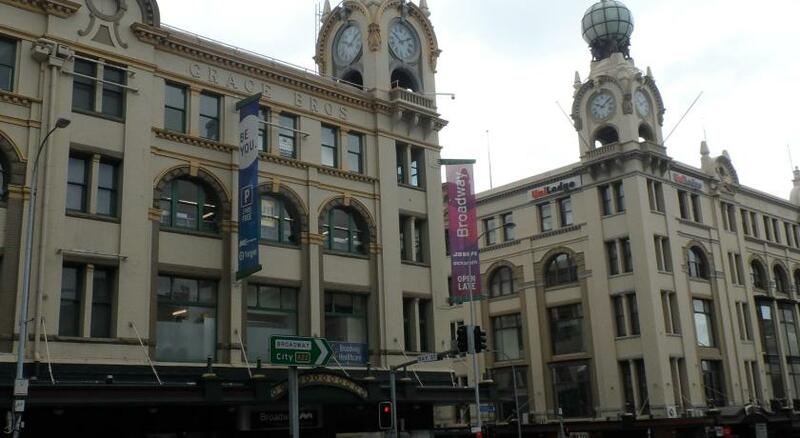 The Village Broadway is a 10 minute walk from Chinatown and a 20 minute walk from Darling Harbour. 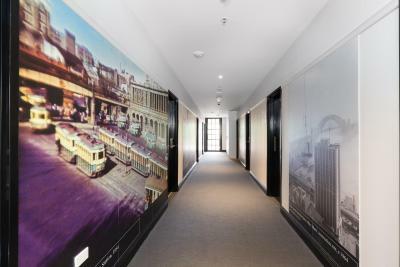 Hop on a bus from outside The Village Broadway, and you will reach Circular Quay, The Sydney Opera House and the Sydney Harbour Bridge in less than 20 minutes. 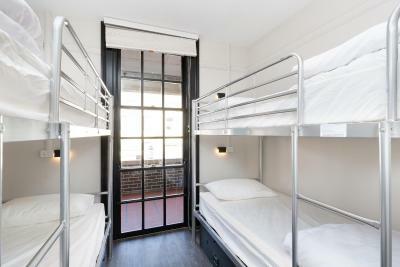 The Village Broadway offers a range of private rooms and shared dormitory rooms. All rooms feature modern furnishings and were renovated in May 2017. Free WiFi is available with a limit of 500 MB per day. Additional WiFi can be purchased for an additional charge. 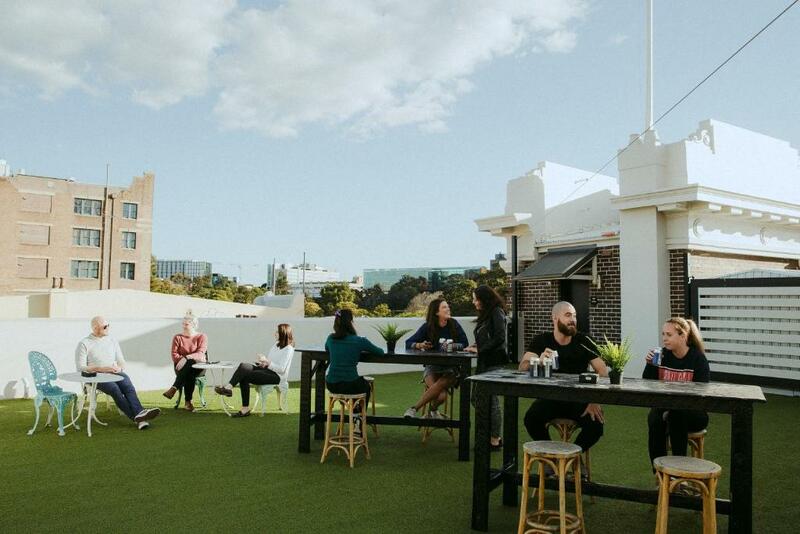 Communal areas include a shared kitchen, laundry and lounge room, alongside a sunny rooftop terrace. 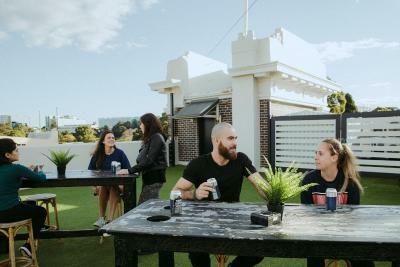 The onsite bar, Lansdowne Hotel offers meals and drinks, and live music a number of nights each week. 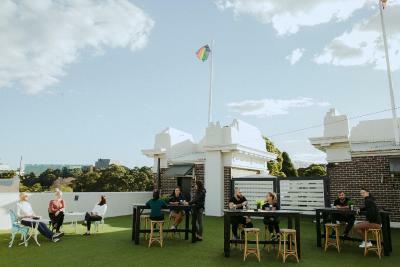 The Village Broadway is across the road from picturesque Victoria Park and The University of Sydney. Sydney International Airport is a 30 minute drive away. 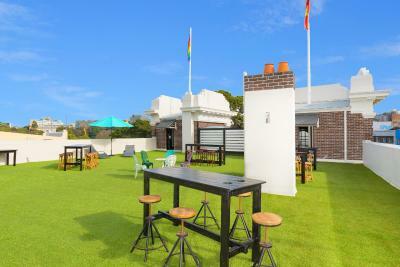 Chippendale is a great choice for travellers interested in harbours, food and beaches. The Village Broadway has been welcoming Booking.com guests since 5 Jun 2017. When would you like to stay at The Village Broadway? 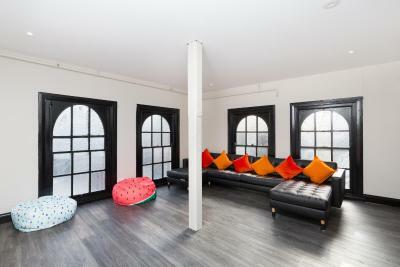 This double room has air conditioning, an ensuite bathroom, TV and modern furnishings. Towels and refrigerator bags are available from reception for an additional charge. 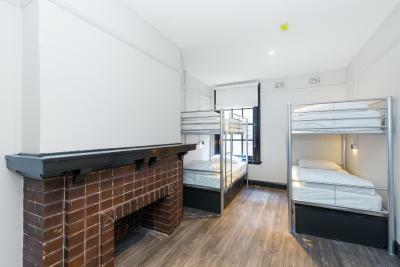 This bed in dormitory features air conditioning, an ensuite bathroom, a TV and modern furnishings. 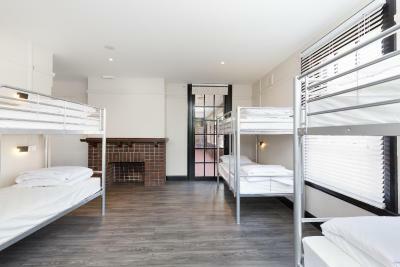 This bed in dormitory has air conditioning, modern furnishings and access to shared bathroom facilities. 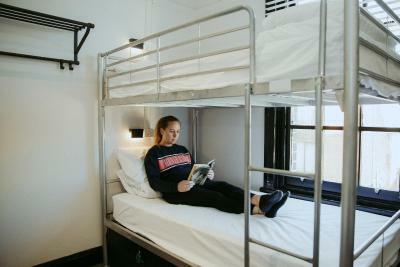 This bed in dormitory features air conditioning, a TV, modern furnishings and access to shared bathroom facilities. 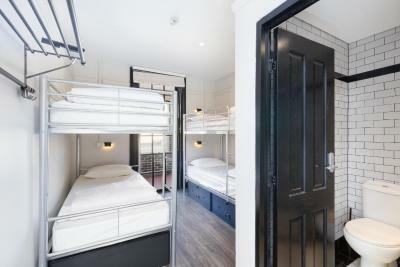 This bed in dormitory features air conditioning, an ensuite bathroom and modern furnishings. House rules The Village Broadway takes special requests - add in the next step! The Village Broadway accepts these cards and reserves the right to temporarily hold an amount prior to arrival. Please let The Village Broadway know your expected arrival time at least 1 day in advance. Please note that the reception is closed from 18:00 until 10:00. Check-ins will need to be arranged in advance. 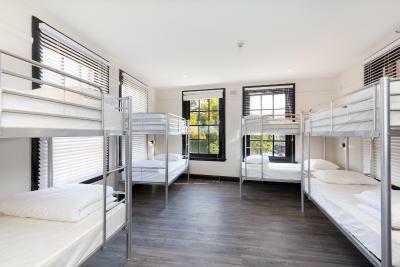 If booking more than 1 bed in a dormitory room, the hostel cannot guarantee that guests will be allocated the same room. Free WiFi is available with a limit of 500 MB per day. Additional WiFi can be purchased for an additional charge. Towels are available from reception for a refundable deposit. Please inform The Village Broadway in advance of your expected arrival time. You can use the Special Requests box when booking, or contact the property directly with the contact details provided in your confirmation. Shower handle was falling off but scheduled for repair. Also the noise at night, it's literally on top of a lively bar. Value. Convenient location. No nonsense check-in and out. very loud at night. cannot sleep at all. I stayed in the private room with private bathroom Excellent room, comfortable bed, air con, clean with friendly staff. 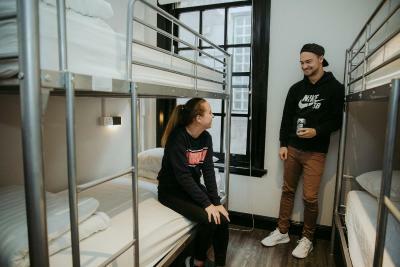 Even though the room seemed to belong to a standard private hotel guests must remember the private room is located within the hostel which houses young tourists out to party. If I was 20 years younger this would be the ultimate place to stay as the kids were having a ball. Drinking singing, running up and down the corridors until they eventually crashed at around 4-5 am. 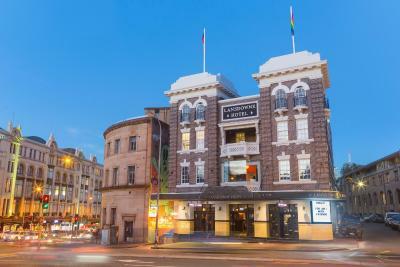 The Hostel is above a nightclub/ pub so if you are expecting a quiet relaxing stay I suggest you go somewhere else. Because I knew all this beforehand (from reading other reviews) it didn't bother me and I had a great time in Sydney. Nowhere for soap in the shower...suggest you buy soap holder to hang in there. Otherwise extremely good for one night if you don't mind stairs. Not really bad. The noise from down stairs is the only big problem. But I’m a deep sleeper. So not really bothering me. The staff and the cleaners come every day. Keep the place organized, tidy and clean. 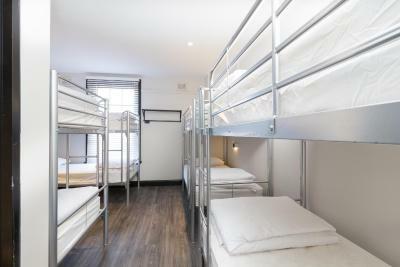 The room was extremely small, extremelly untidy, dirty and smelly (as were the toilets both within and without the room), with impractical and broken lockers below the beds. There is noisy partying going on in the pubs below even on a Sunday, which the thin walls entirely fail to fend off. There is no space or atmosphere for people meeting. 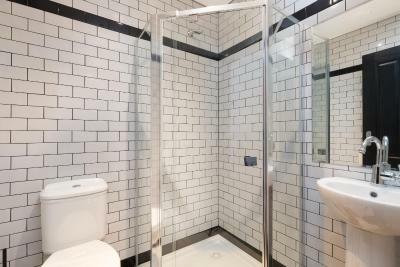 The showers could be cleaner. The staff is there from 10am to 6pm, which means that as a worker there was no way for me to see them or ask for something like the fridge bags, unless coming back around midday - not always possible And the air conditioning was awfully cold, but that's not the hostel fault, rather the roommates who put it on 16°C with 35°C outside! Clean Room. 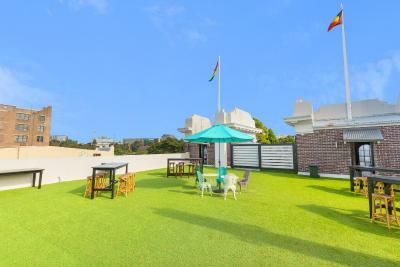 The Rooftop. Early Checking.